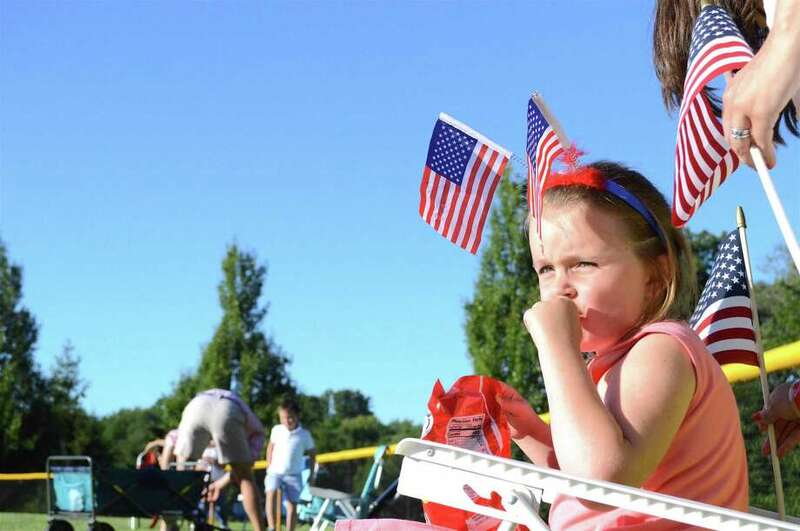 Julie Verpoorten, 5, of Darien, enjoys a pre-show snack at the Darien Fireworks on Saturday, July 7, 2018, at Darien High School in Darien, Conn.
DARIEN — Not with a bang, but with hundreds of ‘em, the Darien Fireworks went off with a big explosion Saturday night at Darien High School. “This is the eighth year that it’s been back here,” said Bob Buch, fire marshal. The fireworks were jointly sponsored by the town, the Parks and Recreation Department, and the Chamber of Commerce. “It’s a community tradition here in Darien that we’re excited we can continue,” said Jami Dawson, Recreation supervisor, who helped organize the event.